The following is Neville Goodard's description of "Clairvoyance" from his book "Your Faith is Your Fortune". "The ninth disciple is called James the son of Alphaeus. This is the quality of discernment. A clear and ordered mind is the voice which calls this disciple into being. This faculty perceives that which is not revealed to the eye of man. This disciple judges not from appearances for it has the capacity to function in the realm of causes and so is never misled by appearances. Clairvoyance is the faculty which is awakened when this quality is developed and disciplined, not the clairvoyance of the mediumistic seance rooms, but the true clairvoyance or clear seeing of the mystic. That is, this aspect of the mind has the capacity to interpret that which is seen. Discernment or the capacity to diagnose is the quality of James the son of Alphaeus." Through Guides, Angels, loved ones, and with God’s assistance, Marco has developed the ability to deliver messages from spirit with the highest degree of accuracy, and assist others in the much needed healing process of connecting with a loved one who has passed on and/or finding out where you were, where you are, and where you are going in your TRUE life's path. Before your scheduled reading, go over your family tree and its history. Familiarize yourself with stories and events of those you desire to connect with. Write down a list of questions you have regarding yourself and/or a loved one on the other side. Knowing this information first hand will greatly increase your ability to acknowledge and validate the messages you receive. We are all connected spiritually, in both the physical realm and the spiritual realm. Channeling is the process of opening the lines of communication between us, the Angelic Realm, and other Souls who have crossed over to a life beyond. It is about listening to Spirit with your heart. People have many reasons for desiring to make contact with those on the other side. Angels and our loved ones that have departed us walk beside us throughout our daily lives. We are not meant to take on the challenges of life on our own, and are being encouraged to seek divine guidance. Connecting to Spirit helps to provide information that will assist us in our growth. We are here on earth to learn life lessons, to grow spiritually, and most importantly, to help and love one another! Connecting to Spirit gives our loved ones a vehicle to communicate to us and to let us know they are happy and safe. Our Spirit Guides and Angels will also give us instruction on areas we are required to focus on in our life. How Does Spirit Talk To You? Marco's job as an intuitive counselor is to translate messages from the Spirit Realm, including your loved ones, your angels, and your guides. These messages come in the form of visions, symbols, voices, feelings, and intuitiveness. He interprets this communication into words for you, keeping the translation as close to the original concepts as possible. The interpretation is done more from your perceptiveness in and on the messages coming through, than his ability to create the words. You will often time get meanings from Spirit in words, phrases, or other symbols, that at the time may seem with no meaning for you. Marco just simply delivers the messages given to him. You will know that these messages are meant for you and only you, because of the personal and private nature of the information and validations that come through. The vital message here is that life never ends. We are all souls...each one of us a unique energy pattern that lies beyond the transience of physical matter, and outside the limited forms of currently measurable energy. You do not have a soul. You are a soul! A soul who happens to be in a physical body at present. It is the realization that the real you, your true-self, is that Soul Nature. The law of conservation of energy states; "Energy can neither be created nor destroyed, only changed in form." This means that YOU, as energy...are now...always have been...and always will be! Who or What Do I Channel? Marco cannot promise to connect with specific loved ones, spirit guides or angels, nor do any other intuitives have the ability to call precise spirits at will. We can connect, however, with the spirits that are willing to come through. Sometimes they are the loved ones you were hoping to hear from, sometimes, you may be surprised by who actually attends. There are no boundaries or limits as to who can come to pay you a visit. It could even be a distant relative or acquaintance, or someone you don't even know. What I can promise, is to deliver the messages from my heart; and with honesty and integrity. Learning your family history and those included in your wide circle of family and friends is essential to get the most out of your reading. The Spirit will continuously make references to validations. Things to get you to realize, remember and/or understand what they are trying to communicate. You require this family history to quickly validate for them and for you, that you understand what they are telling you. Study your family tree, important dates such as anniversaries, birthdays, death dates, family stories, etc. This is predominantly the type of information loved ones give me to pass on to you so you'll recognize them and know that they are present and watching over you. What Can You Expect From a Reading? A reading can be a very moving, emotional, and happy experience. Those in great suffering from the loss of a loved one are advised to seek professional counseling first to assist in their grief. The value of intuitive counseling is not just about the information that comes through, but the fact that life goes on, and that our loved ones are always with us, now and forever. That we are always surrounded by Guides and Angels who are there helping us plod through our daily lives. They and our loved ones are there with us when we have celebrations, life traumas, and even in small events that take place in our lives. Receiving messages from Spirit can be a real healing process and can provide some strong answers to directions we take in our lives, the importance we place on specific areas, and where we should be putting our focus. 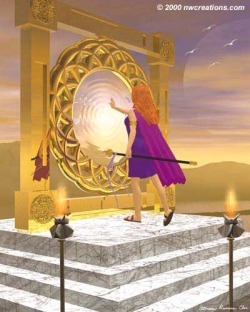 Be open, willing and ready to accept the guidance and messages from the other side.